Lignano also received this coveted award this year. It is awarded to the seaside resorts that strive to keep beaches and port areas clean and organized. It is nice to know, you're spending your holiday in a healthy and environmentally safe resort. We kept our promise! 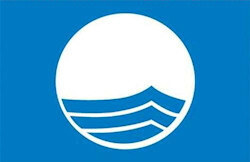 Even this year Lignano has received the Blue Flag!